Do you have an account with HDFC Bank? Did you activate HDFC internet banking facility for the account? How do you obtain the bank account statement? 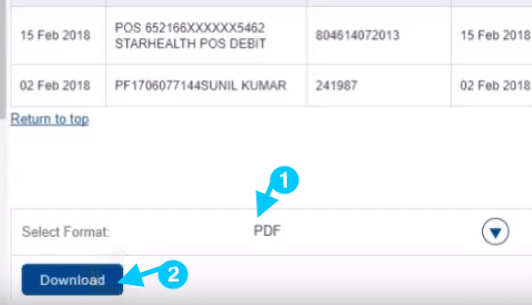 Did you sign up for receiving the HDFC account statement on your email ID? The world is advancing with the tech facilities and the banking industry is making the best use of the tech advancements for delivering convenient services to its customers. Many people receive the bank account statement monthly or quarterly by post. But, what if you lost the account statement and need it for some essential purpose? Yes! Internet banking service will help you to sort out the issue! 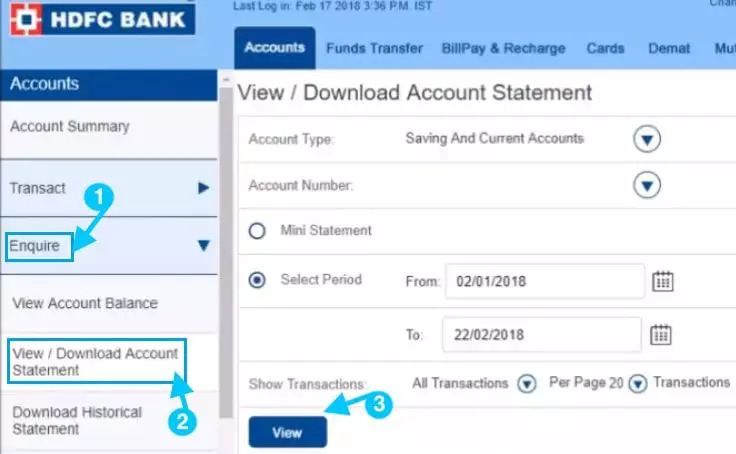 If you don't know how to download HDFC Bank account statement in PDF format, in this article, you will learn about the simple ways to obtain the bank account statement and download it in PDF format. You can download the account statement anytime and from anywhere online. Step 1: To download the account statement you must be an active net banking user! Visit the official website of HDFC Bank and log in using the User ID and Password. Step 2: Move the mouse cursor to the sidebar to find several tabs of online banking dashboard. Click on 'Accounts Summary' tab. Click on 'Enquire' and you will find different options. Move the mouse cursor to 'View/Download Account Statement' or 'Download Historical Statement'and click on it. Note: Selecting the option 'View/Download Account Statement' you will be able to view and download the account statement for the last 30 days. Selecting 'Download Historical Statement' option you have the flexibility to set the date, month and year for obtaining the account statement. Select the option as applicable. If you select 'Download Historical Statement' option, provide the account number and click the button next to 'Specific Period' and enter the start and end date. Step 3: The next step is to click on the 'down arrow' button where you will be able to set the file format to download the account statement. Select PDF Format and it will show beside 'Select Format' option. Finally, click on the 'Download' button and set the destination folder to save the file. Open the folder and double click on the PDF file. You can print the file instantly or keep it for future reference. Downloading and obtaining the account statement online is convenient for everyone. You need not visit the branch or wait for the monthly account statement.